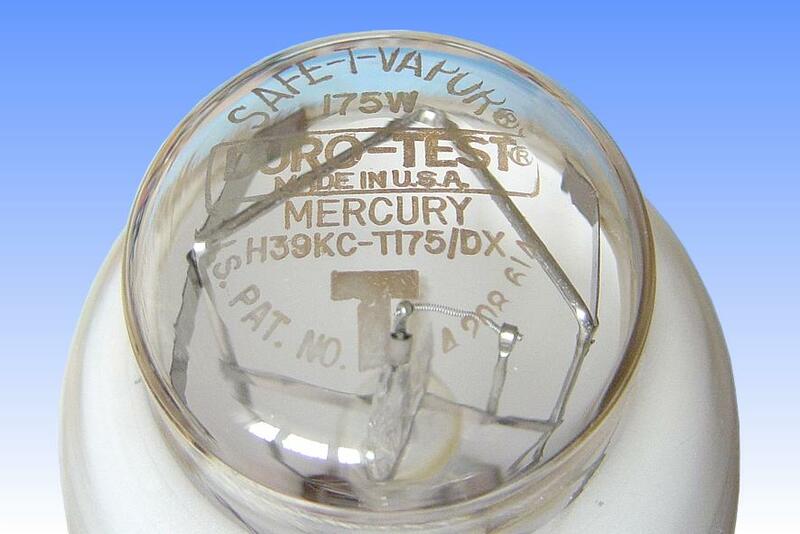 During the 1970s a number of high profile legal cases were brought against American manufacturers of mercury discharge lamps. These related to customers who had received serious skin and eye burns resulting from exposure to lamps whose outer envelopes had broken. 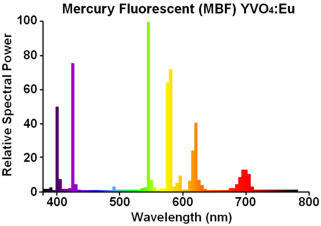 The in addition to visible light, the arc tube in a mercury lamp produces a significant proportion of short wavelength ultraviolet radiation, which is very damaging to skin and eyes. Normally this ultraviolet radiation is absorbed by the glass of the outer bulb, which is unable to transmit such short wavelengths. 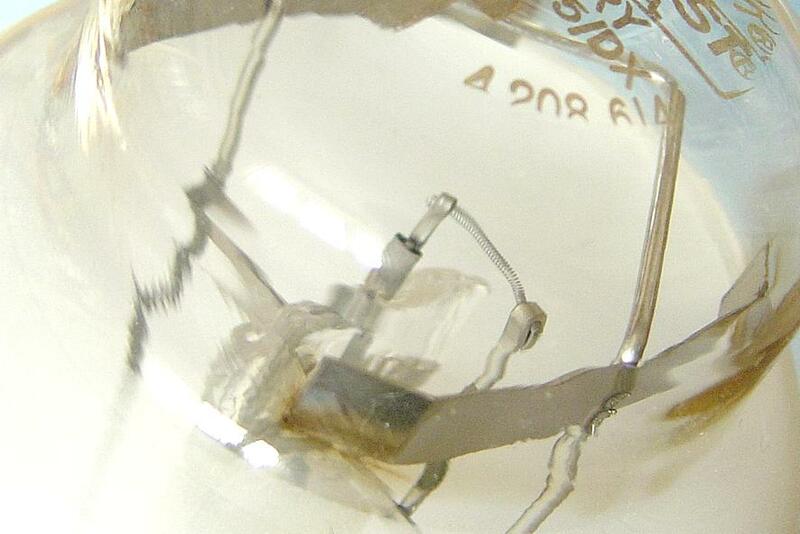 However a problem arises if the outer bulb is broken, because the inner arc tube will continue to burn for several hours, until its seals oxidise and fail. The problem was ingeniously solved by Duro-Test with the launch of the Safe-T-Vapour mercury lamp featured here. This incorporates an 'oxygen fuse', which interrupts the current supply to the arc tube very quickly after the outer jacket has been broken. The fuse consists of a tungsten filament which is connected in series with the arc tube. 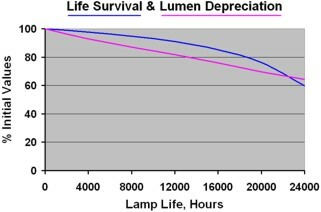 The filament is designed such that during normal operation it is incandescent, but that its power dissipation is low enough so as not to seriously negatively influence the luminous efficacy of the lamp. 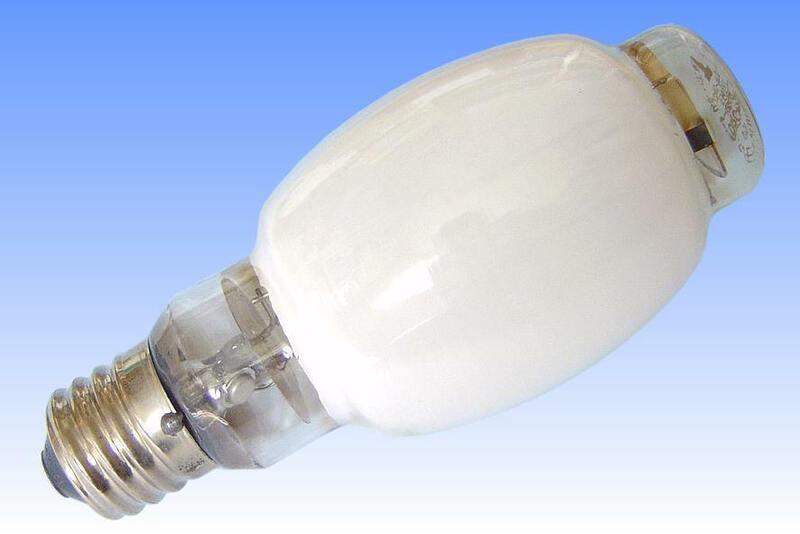 Once the outer bulb is broken, the incandescent filament quickly reacts with the oxygen in the air, and will burn out, thus interrupting the current supply to the arc tube. To ensure that the filament does not fail prematurely, a clean lamp atmosphere is required, and to this end a small solid state getter of zirconium/aluminium is located near the stem.